• At 3:17 a.m. on Aug. 31, police responded to the 900 block of North South Street on a theft report. Police spoke with 57-year-old female residence and a 34-year-old male, who advised someone broke into the shed who stole a tackle box and 20 fishing poles worth approximately $2,100, according to the report. • At 2:54 p.m. on Aug. 31, police were dispatched emergency services to the 100 block of B Street where they received a call about an 18-year-old male using drugs. The caller requested officers respond. Officers took the male and transported him to the ER for a possible meth overdose. • At 9:38 p.m. on Aug. 31, a 21-year-old female wished to file a menacing report on a 34-year-old New Vienna male. She advised that the suspect had appeared at the restaurant she worked at three to four times a day several times a week and earlier that day she observed him sitting in his car, staring at her. She also advised a year ago he had followed her from work on her way home to her house. The report advises the victim was very upset and she just wanted to report it to be documented. • Police arrested a 21-year-old Martinsville female and a 24-year-old Wilmington female for alleged theft at a store on Progress Way at 9:56 p.m. on Aug. 31. According to the report, the two allegedly stole $134.60 worth of assorted items. • At 10:56 a.m. on Sept. 1, a 48-year-old female called and reported a wooden bench was stolen from her residence on South Walnut Street the night before. Later the same day another South Walnut Street resident, a 69-year-old female, reported $720 was stolen from her residence. • At 2:07 p.m. on Sept. 1, police received a report of a 22-year-old male menacing a West Main Street resident. • Police responded to a reported assault at the 900 block of Wayne Road at 4:51 p.m. on Sept. 1. An 18-year-old Waynesville male is listed as a victim. Enough evidence was collected to charge a 21-year-old Clarksville male. • A 34-year-old Hillsboro male was arrested for alleged theft and criminal trespass at 5:32 p.m. on Sept. 1 after police responded to a shoplifting report at a store on Progress Way. According to the report, the suspect stole an automobile battery charger. • A 38-year-old male was arrested for allegedly driving under the influence of alcohol at a restaurant on Rombach Avenue at 2:20 a.m. on Sept. 2. • Police were flagged down at 6:53 p.m. on Sept. 2 on South South Street on a motor vehicle being stolen. Two males, ages 22 and 34, are listed as suspects. • Police responded to the 1-99 block of Doan Street at 10:42 p.m. on Sept. 2 on an assault report. A 25-year-old Blanchester male is listed as the victim. 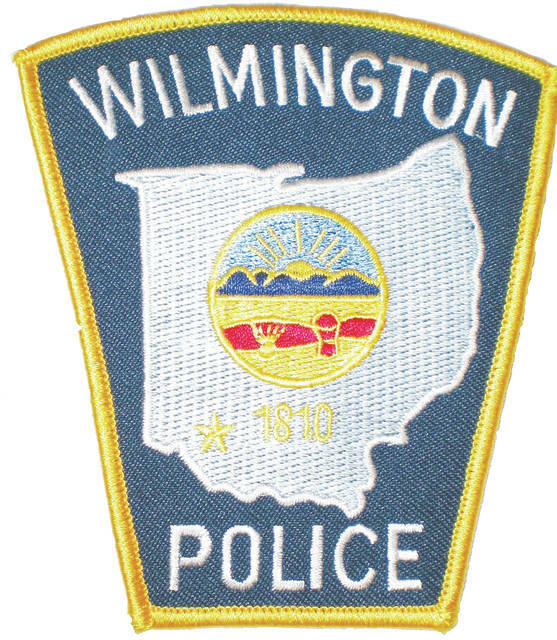 A 26-year-old Wilmington male is listed as a suspect.